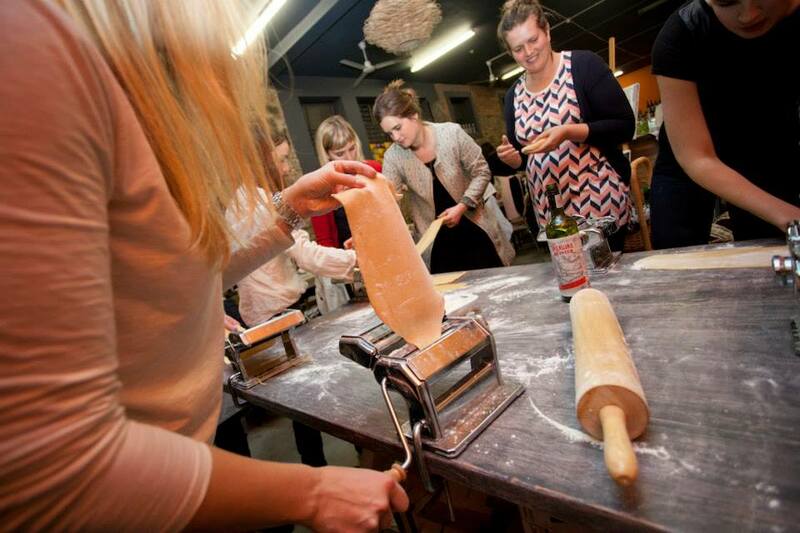 An evening socialising, drinking delicious wine, making your own food and eating it! Sounds like my perfect girls night out, right? 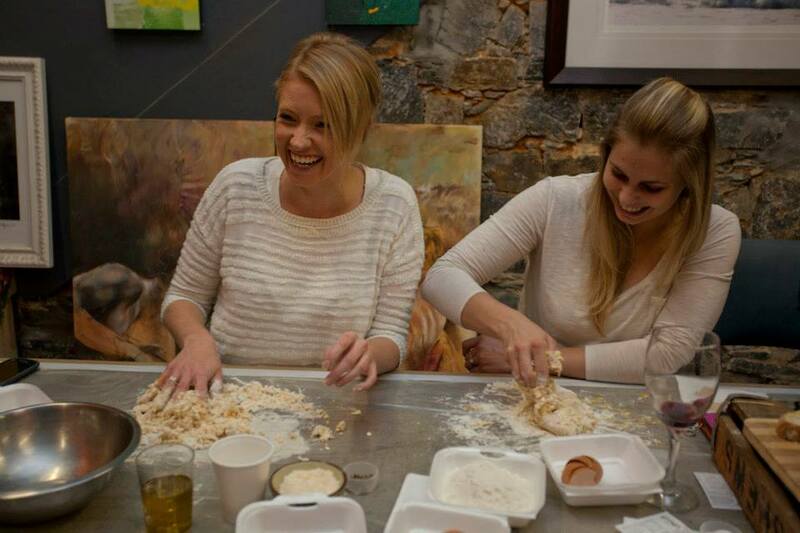 This is the Social Club is all about arranging different social events, where like-minded people can learn a new skill, craft or hobby. 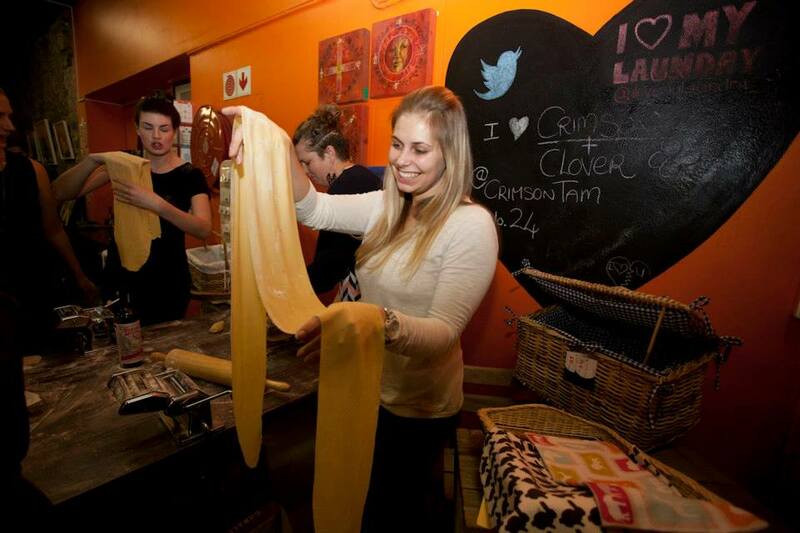 Each event has a different theme, but for this event it was all about homemade pasta and fresh pesto. 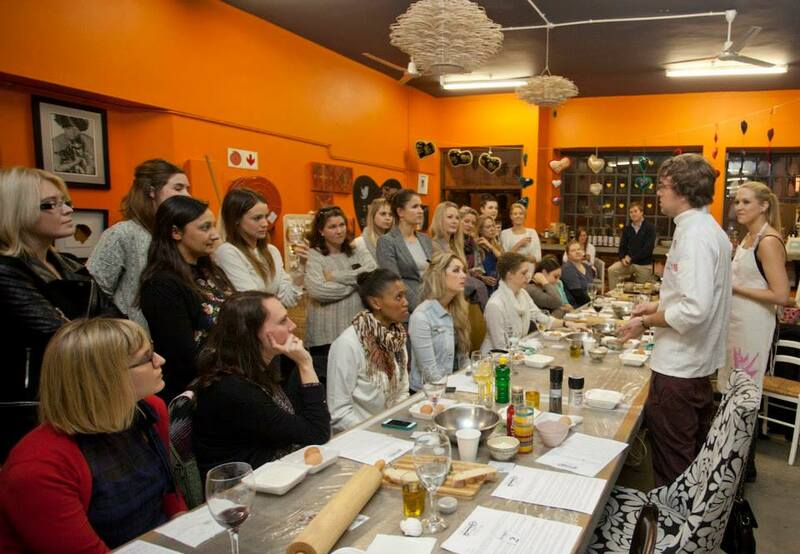 There was over 30 ladies attending the Pasta & Pesto evening. Some a bit more serious about cooking than others, but we all had fun. 😉 It is a great way to meet new people and make friends. I have made my own pasta before and always find it interesting to hear that people think it’s too “hard to make yourself.” All you need is two, yes only two main ingredients; flour and fresh eggs. 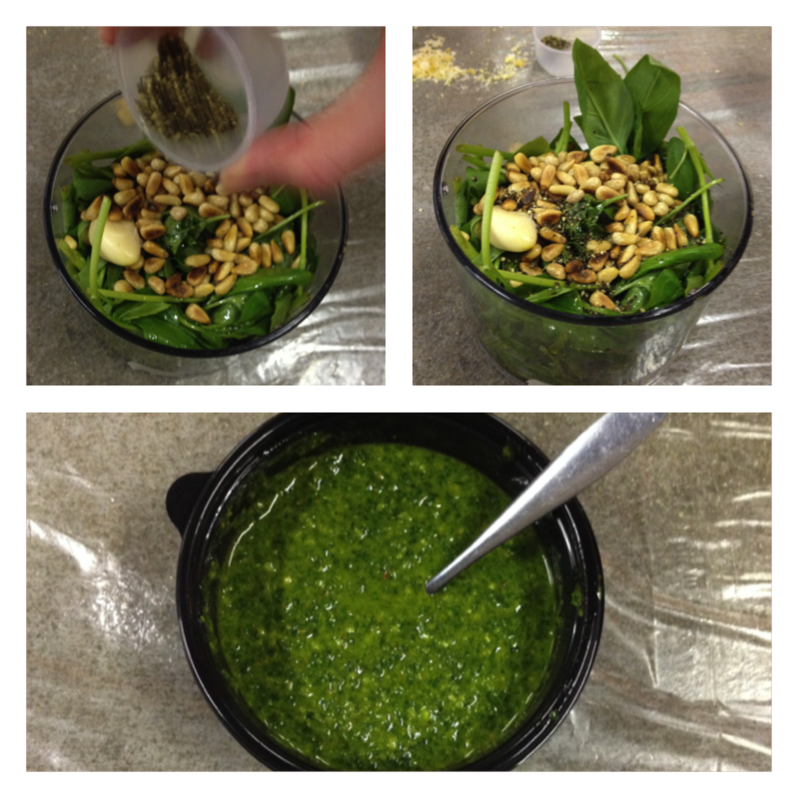 To be able to make your own pesto is not only rewarding, but you get a sense of satisfaction. At least I do! 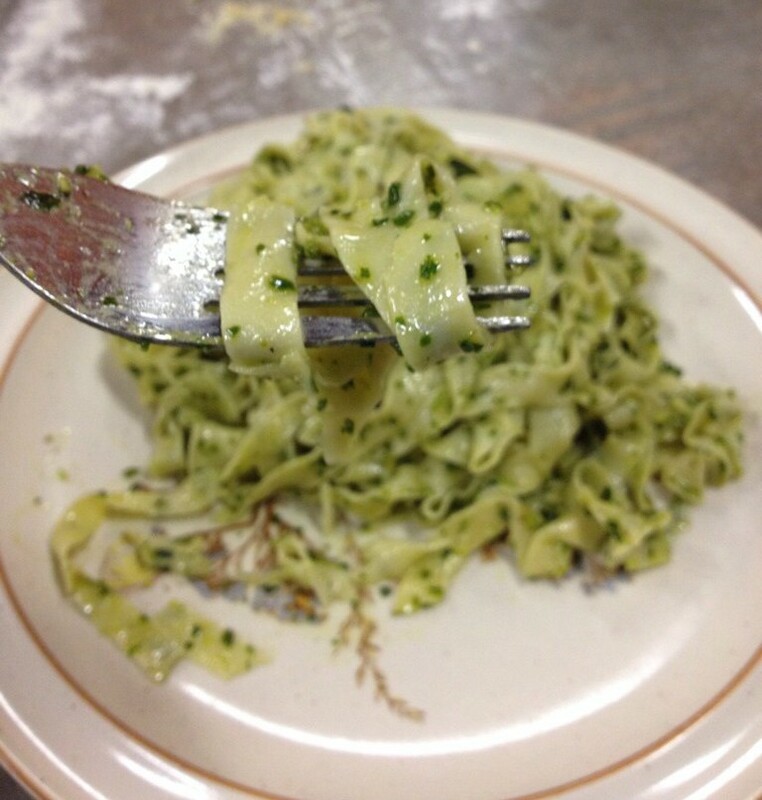 😉 It might be easier to buy store bought pesto, but sometimes it lacks flavour and freshness. Get the few ingredients below and a powerful hand mixer (or blinder if you have one at home). Then add all the ingredients together and blind until you have a paste-like texture. 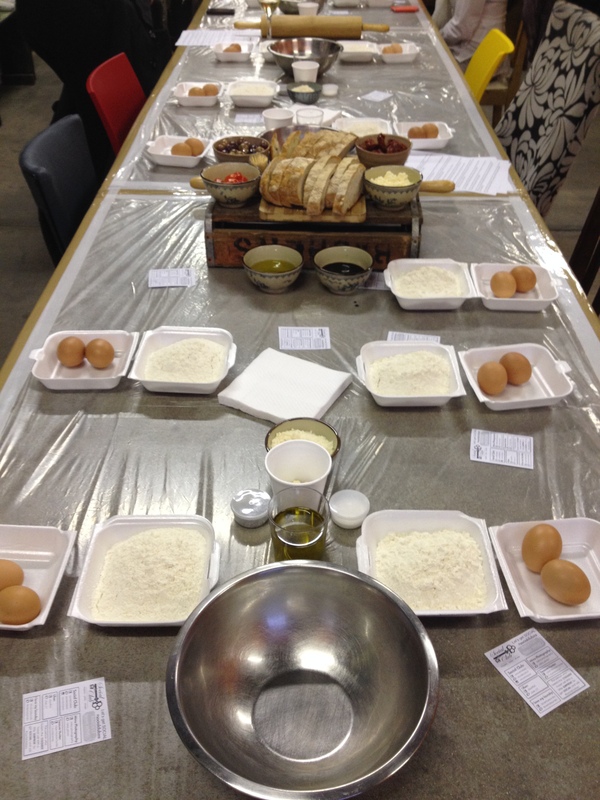 The fun part about doing this in the class was that you could select the amount of garlic to olive oil ratio. This is a great way to learn how to taste your food and add more ingredients if needed.